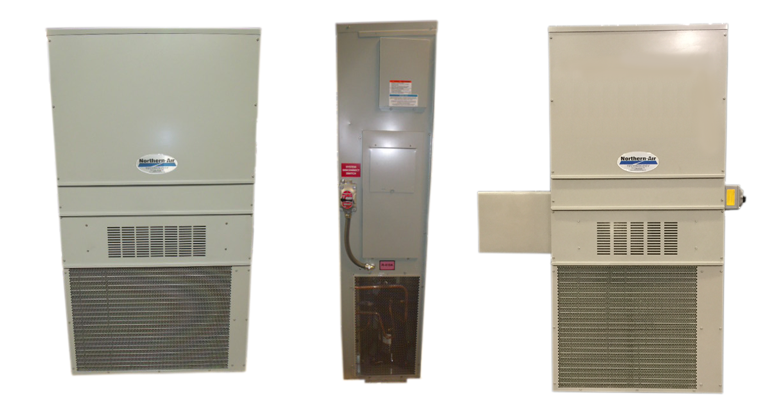 Northern Air Systems Modified Units are designed and built with the highest reliability. We take current units on the market and modify them so they last and have a rugged construction for the most demanding environments. Explosion proof Modified Units are available to meet both Class 1, Division 2 and Class 1, Division 1 hazardous location codes as well as N.E.C. and I.E.C. compliant codes. This Wall Mount product line is Third Party Certified through ETL (INTERTEK) and they can be purchased from 1.5 ton through 6 ton. Rugged construction provides dependable cooling in the most demanding environments designed for 24 hour operation in high load demands.